A Hamburger too Tastey for McDonalds! Chop the 3 ½ oz walnuts in a food processor. Peel an onion and chop it in a food processor until juicy. Add low fat hamburger meat with all the other ingredients except ½ c of the flour. Put that into a dish. 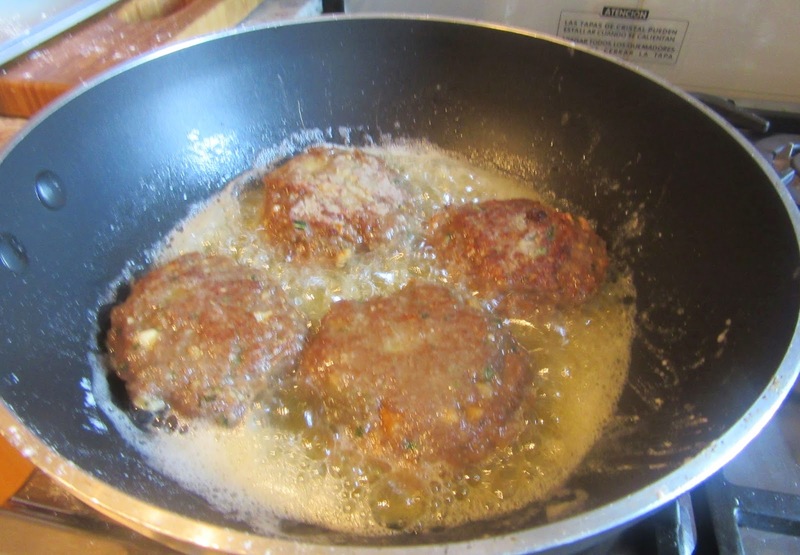 Make meatballs or shape the meat like hamburgers and dip it into the flour covering both sides. Heat a frying pan and add olive oil. When hot add the meat and fry on both sides. When done, remove from the pan and place the hamburgers on a platter. Garnish and serve. Seguramente fue el comienzo de la hamburguesa de procedencia PERSA-ARABE. Las elaborarban con carne de cordero o ternera con ciertas añadiduras como los frutos secos y las presentaban con manzana picada. 400 grs. de carne muy picada y muy poca grasa. 1 cebolla picada o zumo de la misma. Aceite para freir, 100 grs. de harina. Especias a su gusto. Un poco de miel. Sal y pimienta. 100 grs. De nueces y una manzana pequeña picada. Envolver toda la carne triturda con la cebolla o zumo. Un poco de miel y harina para hacer una pasta fina o en lugar de la harina se puede utilizar migas. Poner las especias. Condimentar y mezclar. Si estuviera muy seca añadir un poco de aceite y agua. It is certain that the beginning of the hamburger originated from the PERSAIN-ARABES. 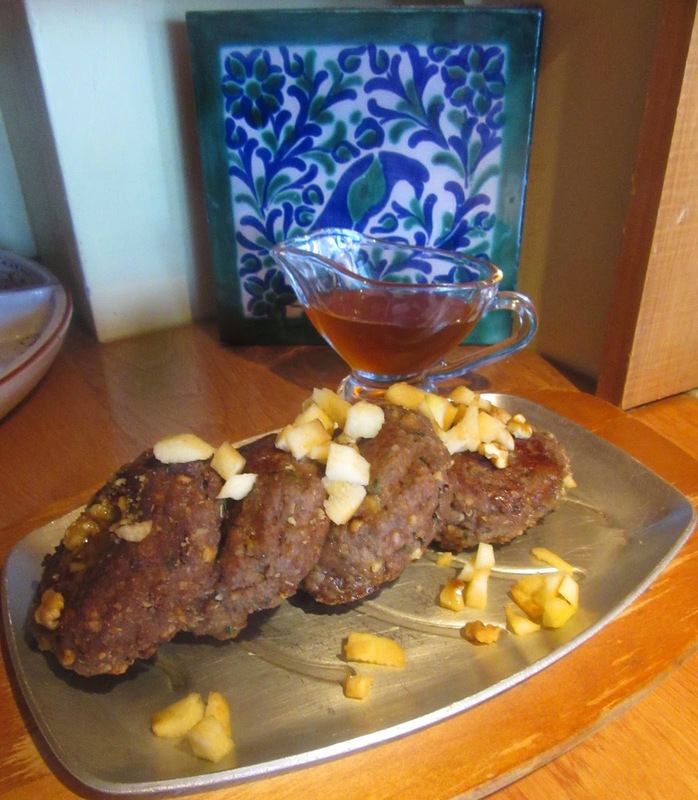 They were made with lamb or veal with certain additions such as nuts and dried fruits and were presented with chopped apple. 400 grs well-ground, low fat meat, 1 onion chopped or juice from it. Oil for frying. 100 gr flour. Season at will. A little honey. Sat and pepper. 100 grs walnuts and one small apple chopped. 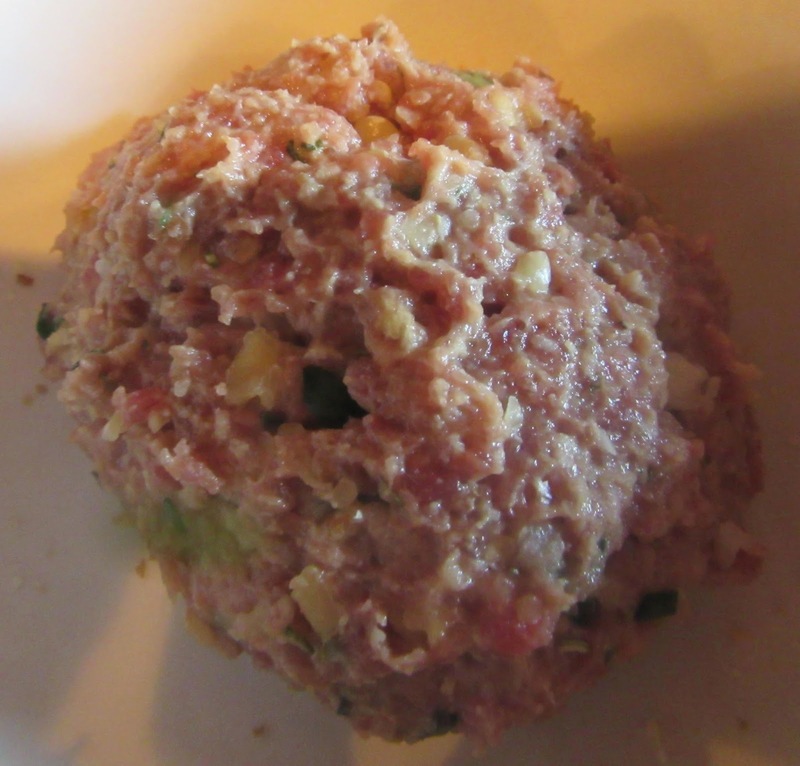 Blend the ground meat with the onion or the juice from it. Add the honey and flour to make a thin paste or instead of flour use breadcrumbs. Add spices. Season and mix. If very try add a little oil and water. The problem with Benavides-Barajas is that he does not cite his sources. This recipe is similar to those found in Fadalat and the 13th C Hispano-Muslim MSS but it does not appear in those records.